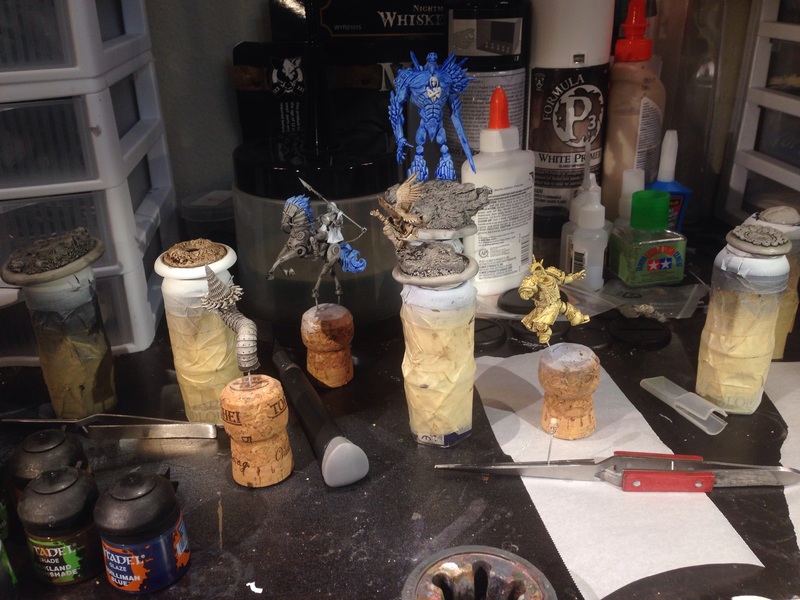 Work in Progress Wednesday 2-17-16: Details! 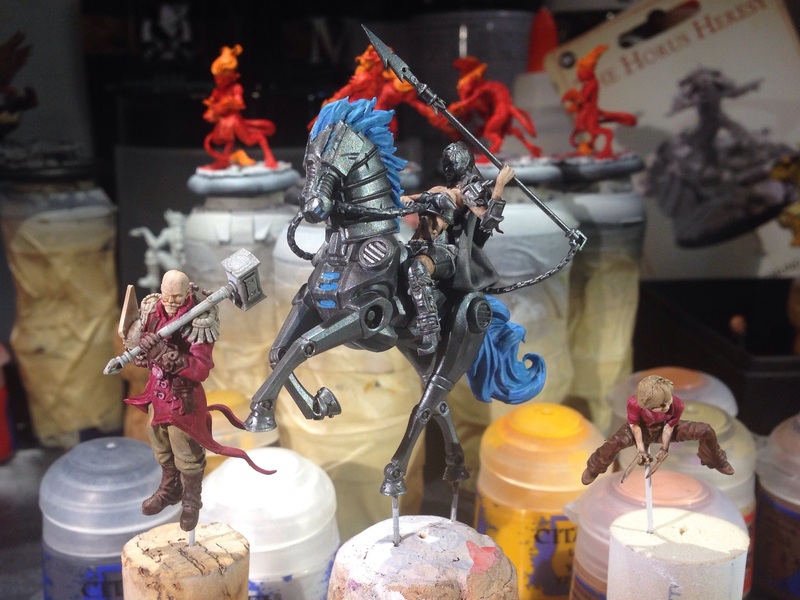 Once again Wednesday has arrived and with it comes the time to share what’s been on your painting table over the last week–it’s Work in Progress Wednesday! This week for me has been all about details; I have several projects that are to the detailing stage and looking great so far. The Bear and Sigismund fair. Really happy with how this Slate Ridge Mauler is looking so far. My old west town with airbrushed basecoats. Some forests to go with the old west town. I tried doing a quick guide-coat wash on one of the trees using the airbrush but wasn’t satisfied with the results, so I’ll be doing that by hand. Some of my GW paints I transfered to dropper bottles. Much easier to load an airbrush this way. 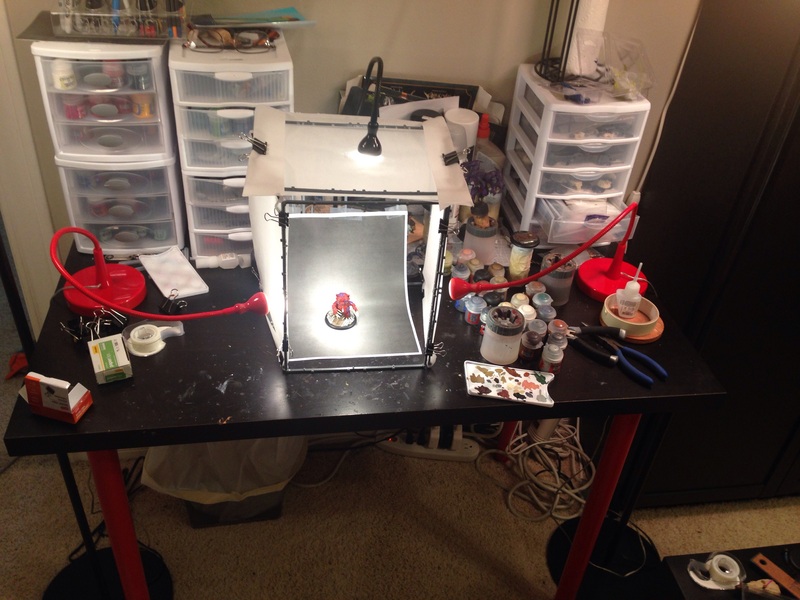 I will definitely be transferring most of my paints to dropper bottles. Once again Work in Progress Wednesday is here, so it’s time for all good hobbyists to share what they’ve been working on! 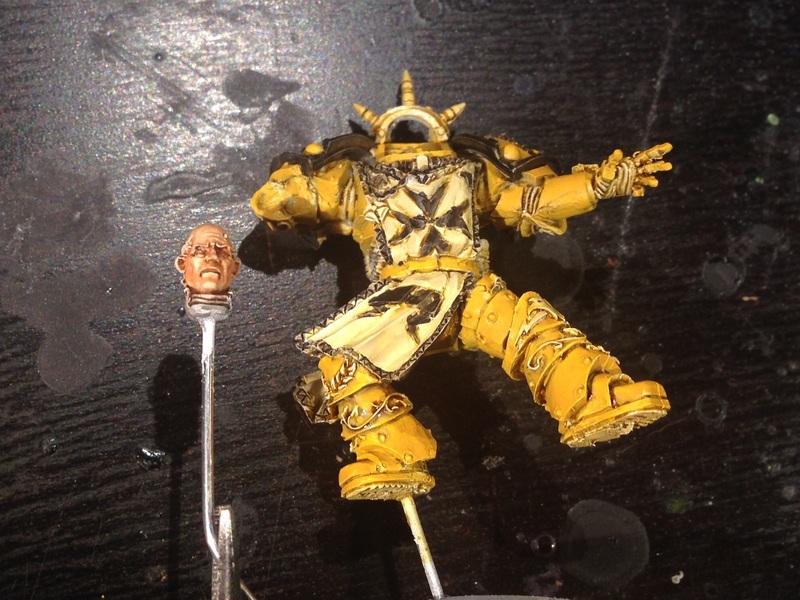 This week, I’ve been quite productive–I’ve done some detailing work on the Sigismund commission I’ve been working on (I swear that I’ll actually finish him one of these days, Chris! ), started and nearly finished the new plastic Slate Ridge Mauler for Malifaux (this model we surprisingly quick to paint up), primed all of the terrain new terrain I showed you in my WiP Wednesday post last week, used my airbrush to put the basecoat on all of the old west buildings, and started the process of transferring my GW paints into dropper bottles for more efficient use and longer life. All in all, I would say that I got quite a bit done this week! With how far I have gotten on the Slate Ridge Mauler, I am confident that I will be able to share the completely finished model with you by the end of the week. It has been far too long since I have shown off anything finished. With how well the Guild Arcanist Hounds have been working for me in-game and how little work I have left on those, hopefully they won’t be too far behind.